Our Mission Statement: To allow each child to meet his or her God-given potential in all areas of their school life. Our mission statement aspires to all of our pupils. It embodies the concept that every member of our community is equally important and that realising their potential, whatever that may be, is valued and is a cause for celebration. We are completely committed to developing the whole child. We have a very strong Christian ethos that is a shared vision for all and contributes hugely to the life of the school. 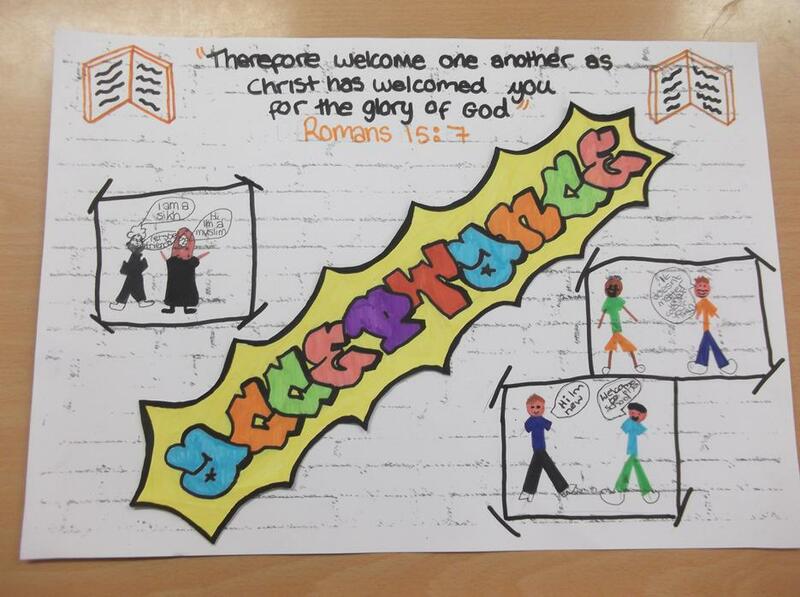 Our pupils are very aware that they belong to a Church School and this fact and the significance of this is discussed explicitly causing our pupils to know that Christian teachings and values are at the heart of our school. 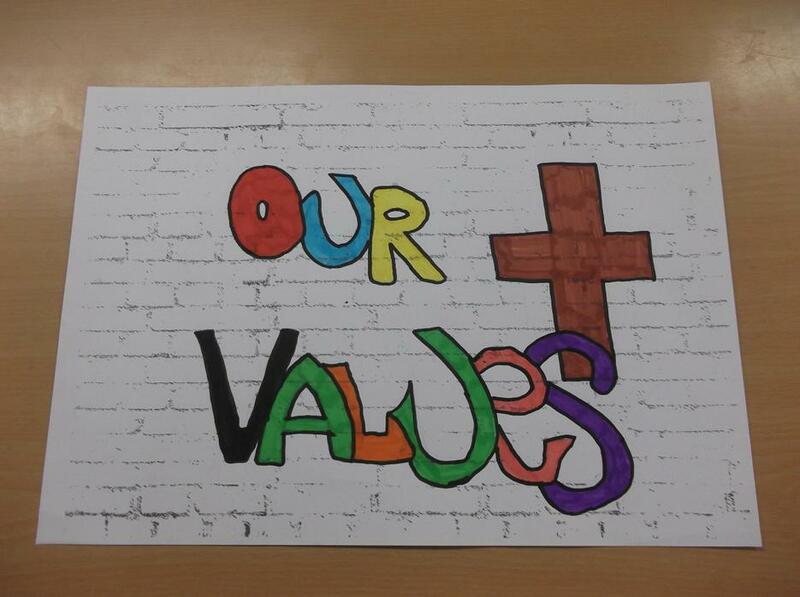 We have six core Christian values that underpin what we model, what we teach and what we believe in. These values are: Respect, Acceptance, Forgiveness, Uniqueness, Equality and Justice. These values are also often referred to by staff, where appropriate, during normal school life (e.g. when pupils are completing their Collective Worship Diaries with their tutor, when pupils are being supported in resolving friendship conflicts etc.). 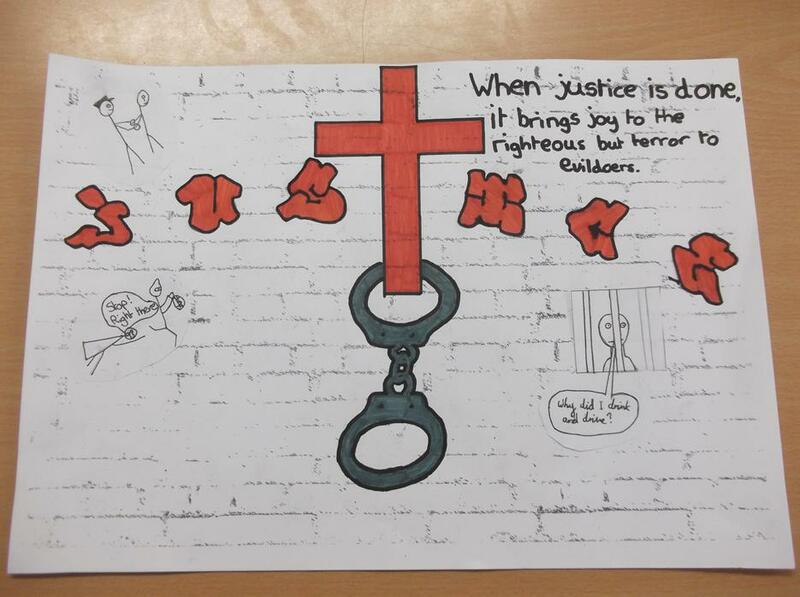 Our six core Christian values have also been incorporated into our RE schemes of work at many opportunities, for example Year 5 learn about the type of welcome and behaviour evident in a Church School, Year 6 learn about how Jesus’ miracles tell us to live our lives, Year 7 study a unit on 'What do Christians believe about love, forgiveness and justice?' 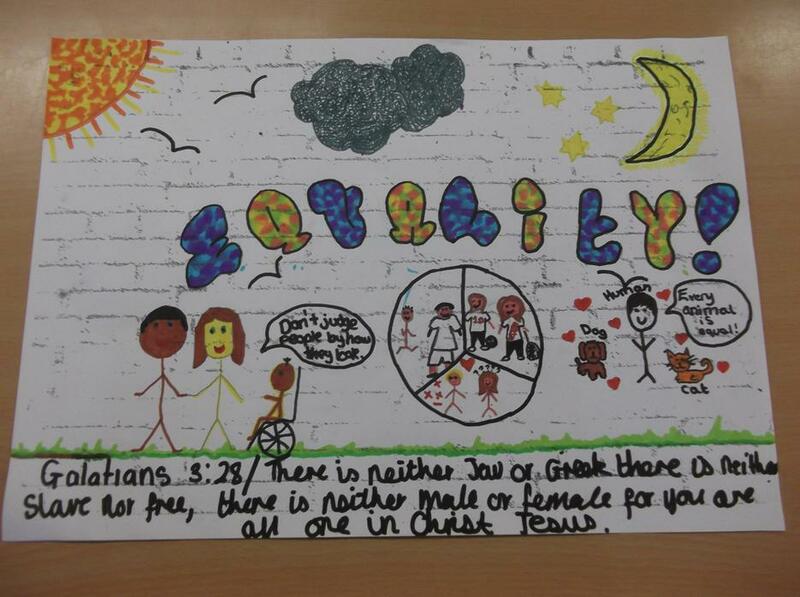 and Year 8 complete work on a unit called 'What do Christians and Sikhs believe about equality?'. 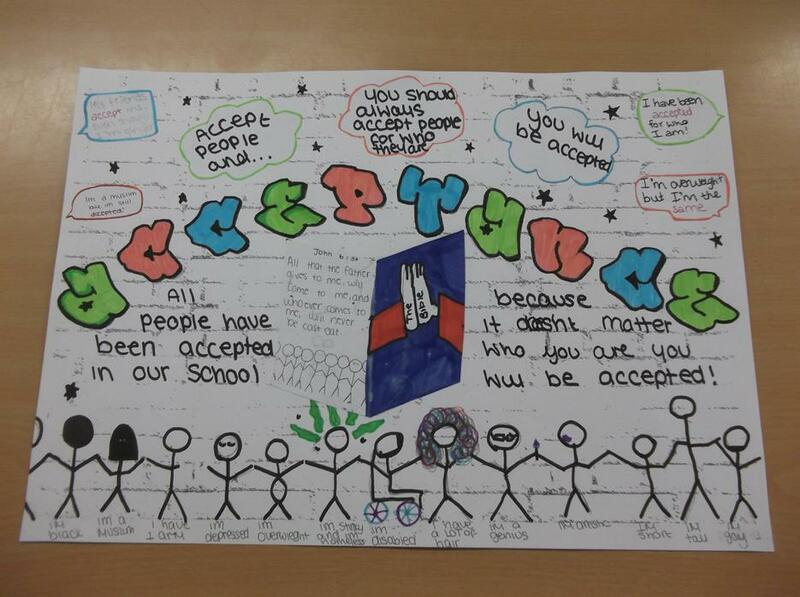 As a result of this; our pupils know that at St Mary’s we expect everyone to show respect to all others and also to property; our pupils are accepting of others, regardless of any differences that may be evident; our pupils understand that we should all strive to forgive others for the wrongs that they do; our pupils appreciate that we are all unique and therefore special, and that this fact is worthy of excitement and celebration; our pupils believe in equality for all and our pupils expect justice and realise that sometimes it is our duty to fight for justice for others. 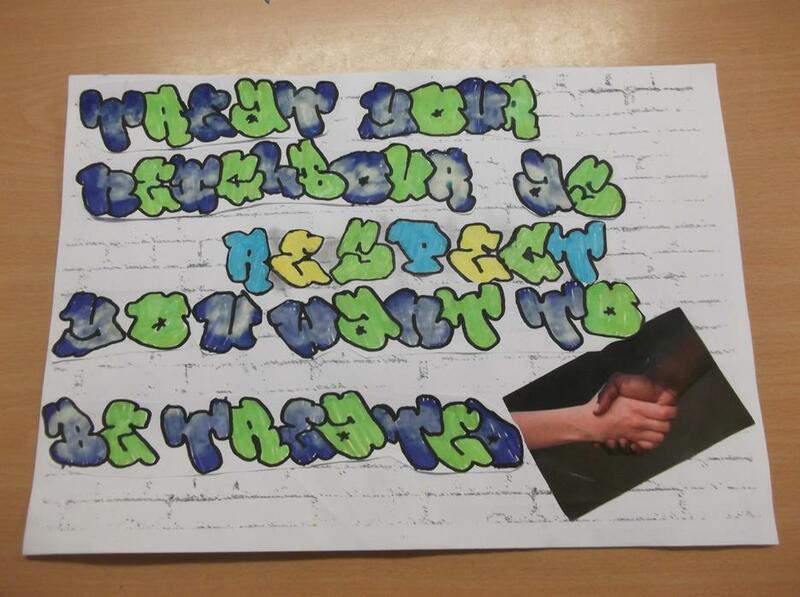 This is a short video, scripted and made by our pupils, to show how we at St. Mary's C.E. 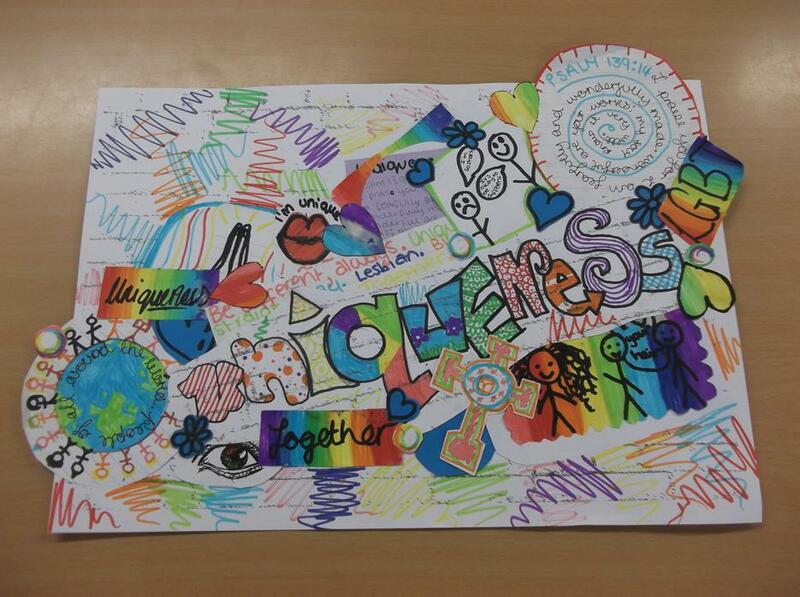 Middle School show our values in our everyday life.